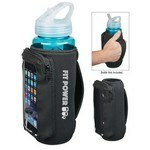 The Neoprene Bottle Kooler with Phone Holder features easy to carry strap and makes interesting choice for Corporate Giveaway with your logo. 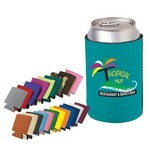 Relax, with your favorite beverage, at the end of a long and productive day, with the classy and colorful Kan Kooler. 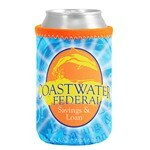 This can holder stretches and wraps around, to fit most of the standard beverage cans. 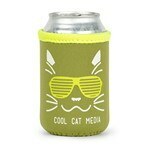 Relax, with your favorite beverage, at the end of a long and productive day, with the classy Full Color Kan-Tastic. 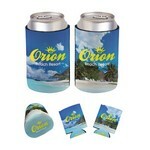 This can holder stretches and wraps around, to fit most of the standard beverage cans. Enjoy a refreshing drink, at any hour of the day, by using the Kan-Tastic, with 3 imprint locations. 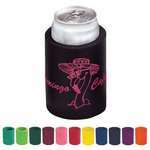 The can holder is made of laminated open cell foam and fits all the standard sized beverage cans. The Liam Four-Color Process is made of Neoprene, has a sewn-in bottom and bias trim at top and is collapsible for easy transport. 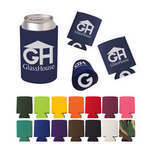 The Liam Neoprene Can Insulator snugly wraps itself around a can giving insulation and has a sewn-in bottom and bias trim at top. 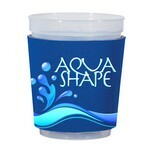 The Kan-Tastic Cup Sleeve features foldable design to store in purse and pocket, Customizable with your brand logo. 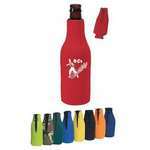 Keep your drinks cold and your hands warm, with the long necked, 12oz. bottle buddy. The Longneck Bottle Jersey is a useful wrap made of high grade neoprene material that stretches to fit most long neck bottles. 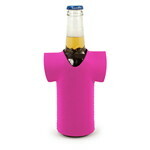 The Long neck Bottle Jersey with four color process snugly covers long necked bottles and gives you a good grip, helping you to firmly hold your bottle.